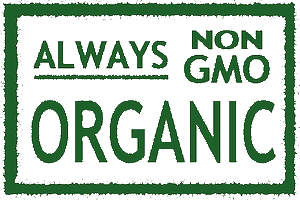 Rich in Silicon, Calcium, Potassium, Phosphorus, Iron, Iodine, Trace Minerals and more! World record yield of over 140 tons per acre! This huge biomass has great potential for compost, methane gas and alcohol fuel. Comfrey is the greatest producer of vegetable protein and the fastest protein builder on Earth. Acre for acre, it can yield 20 times the protein soybeans do. Though suppressed in the U.S.A. Comfrey is widely grown throughout the world as food for cattle, goats, horses, pigs, sheep and most any animal you can think of that eats vegetation. From earthworms to fish to birds to mammals and humans — Comfrey is used as food and medicine. Plant crowns or 1-to-4 year plants NOW and have fresh leaves in 2 to 3 weeks! Coe’s Comfrey sells the Bocking #4 strain of Russian comfrey, Symphytum Peregrinum, which is best for hardiness, highest yield, and the highest protein with high allantoin content; for fodder, compost, and all around general use. The Bocking #4 strain is resistant to ‘rust’ — Comfrey’s only known disease and is bothered very little by insects. Comfrey is also known as Quaker Comfrey, Russian Comfrey, Healing Herb, Knit Bone, Bruisewort, Knit Bond and Gum Plant. It is scientifically known as Symphytum Peregrinum Ledeb, which is the same as Symphytum asperum x officinale or Symphytum x uplandicum, of the Boraginaceae family. Comfrey is the only land plant known to derive and store Vitamin B-12 from the soil! It is interesting to note that both the English word “Comfrey” and the ancient Greek/Latin roots of “Symphytum” “comfort” “confer” and “confirm” are connected; to bring together, to unite, as in a symphony or harmony. Thus we have Comfrey – the Healer through the Ages! Comfrey has a very high level of allantoin, the cell proliferant and skin strengthener and is a proven, beneficial ingredient for treating skin and hair conditions. Allantoin is a hormone-like substance found in the roots, stems, and leaves of Comfrey and is a major ingredient in better skin and hair care products — available without prescription. For a thousand years or more, Comfrey has been known as “knit bone” because of its reputed success in healing broken bones. It was listed in the earliest herbals and pharmacopoeias as a remedy for healing wounds. The experiences of millions of people using Comfrey for healing purposes can be distilled into the thousands of recorded testimonies of accelerated healing of wounds, broken bones, burns, bruises, ulcerations, and much more. Demulcent, astringent, pectoral, styptic, vulnerary, mucilaginous, nutritive, anodyne . . . the list goes on! 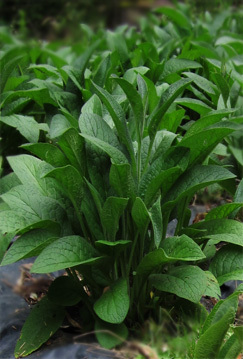 Comfrey is a high-yield, high protein perennial that is superior compost, fodder, food and remedy. It can be dried for hay or crumbles, pelletized, and also used for silage. Versatile fresh leaves are your main crop. With increasing animal feed costs and protein prices jumping ever higher, you’ll benefit from having the PERENNIAL SECURITY of Comfrey’s extraordinarily high-yield to use for economical animal food. SIGNIFICANT CASH SAVINGS feeding Comfrey with minimal soy/corn based animal feed – CAN BE REALIZED BY YOU! Certainly, millions of people over thousands of years, have consumed Comfrey in various forms for food and medicine. New developments to provide nutrient-rich, high protein Comfrey flour to a starving humanity may some day be a reality. Meanwhile the leaves are consumed daily by multitudes—fresh, cooked, juiced . . .
Coe's Comfrey only sells Bocking #4 comfrey. Unlike wild and common comfrey, Bocking* #4 and #14 Russian Comfrey are domesticated, non-invasive variants of Russian Comfrey. Bocking comfrey plants do not spread or seed, and can remain where they are planted for years. Coe's Comfrey stands by Bocking #4 particularly because its plants have larger leaves, more yield of leaves, deeper root systems, and higher protein than Bocking #14. These traits allow Bocking #4 to be grown and used as a perennial source of leaves for feeding animals, composting, and other uses. You can find additional information on our webpages for "Growing the Plants" and "Using the Harvest." Further sources of information can be found just below. The Alkaloid Content of Comfrey by Dr. D. B. Long, P.h.D., M.A. Dr. Long's overview of his study was published as an appendix in Comfrey: Fodder, Food & Remedy. Comfrey: Fodder, Food & Remedy by Lawrence D. Hills, 1976. An identical (word for word) reprint/"knock-off" of this book with a different cover and title, Comfrey: Past, Present and Future, is also available from several online bookstores. Contra-Indications by Dr. John R. Christopher, M.H., N.D. on "Dr. Christopher's Herbal Legacy"
The GardenWeb thread "Comfrey- The Facts" by "johnyb" of Queensland is a thorough look at concerns regarding comfrey. For more information about Coe's Comfrey, download our brochure (in .pdf format). Comfrey can be planted Spring, Summer or Fall . . . Anytime the soil can be worked.